The new Steve Jobs biography is an incredible read so far. 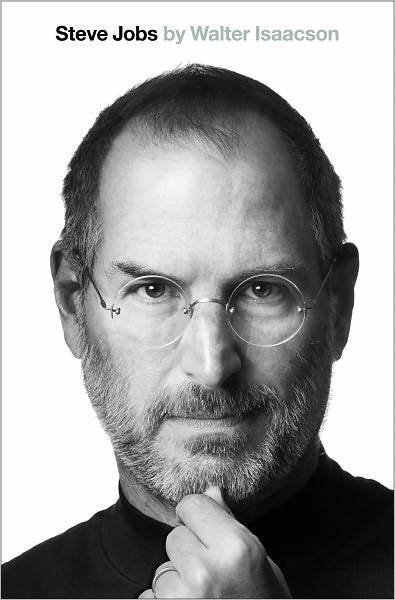 Perhaps it’s because most of this is new to me (I’ve never been much of an Apple fan or followed the Steve Jobs story) or perhaps it’s because Walter Isaacson is an extremely engaging writer. Regardless of why, I’m greatly enjoying the read about the fascinating depth of the polarizing Steve Jobs, the birth of Silicon Valley, and the rise of Apple. Steve Jobs didn’t fit in to the traditional classroom, and it took one very good fourth grade teacher to keep him motivated and engaged. I wonder how many future “geniuses” (and I use the term cautiously) have had their curiosity beaten out of them and their motivation stifled at a young age? Did they go on to do great things anyway? I highly recommend picking this book up. It’s only $25 at Chapters – not bad for a brand new hardcover book that clocks in at nearly 600 pages.